PR and STV results in a weak government so nothing can be achieved. Good, if you have a baseline of 'small' government. Our baseline today is a big interfering government. What is needed at this time is a strong right leaning government that can roll back the legislation imposed by NuLabour and so roll back the socialist hell hole they have put us into. The lefty centre LabLibCon politicians will not do that. Vote UKIP and we will repeal the legislation that has got the UK into the mess it is in and will relieve the stifling oppression now imposed on her citizens. Many forms of PR put tactical voting at the heart of their method - the single transferable vote system is probably the most striking example. For sure it would help the Lib Dems which is probably why you would like to see it. My money, however, would be on STV doing wonders for the BNP and UKIP vote in England . . . what's your true adenda Dazmando? Introduction of real socialism into the UK under a BNP banner? The Lib Dems dont actually do that well in PR elections as we are many peoples 2nd choice but not first choice. 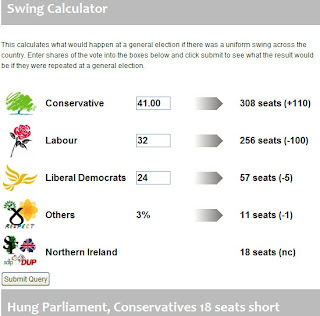 Lib Dems are often used as a vehicle for tactical voting against Labour ot the Tories. We may not gain votes under PR. STV would still keep out the BNP and UKIP as the votes are transferred and most people 2nd party is not the BNP. Therefore they would not gain anyseats.